As the call to prayer resonates throughout Jemaa el Fna a strange process starts to take place throughout the square, strange rectangular market stalls appear to pop up from nowhere in the centre of the square and within a few brief minutes the enticing smell of cooking Moroccan food wafting over the square can be smelt. This may seem like a wonderful prospect, and indeed in many ways it is in that one is given the opportunity to eat like a true Moroccan in an authentic environment. Indeed this is made fairly clear as often with many stalls the majority off their clientèle are locals, however the problem arises from the fact that are so many stalls to choose from and to the uninitiated it can prove a daunting task to disseminate between them. There is also the issue that all the stalls have people who walk around by their stalls and try and persuade you to come and eat on their stall, this can mean that those without firm resolve or a clear idea of where they want to go can end up just eating at the first stall they find on their way. One of the best stalls in the square that this author has tried is stall #12, it like the majority of the stalls serves a fairly identikit fare of various shish kebabs, salads, Tajines and couscous. 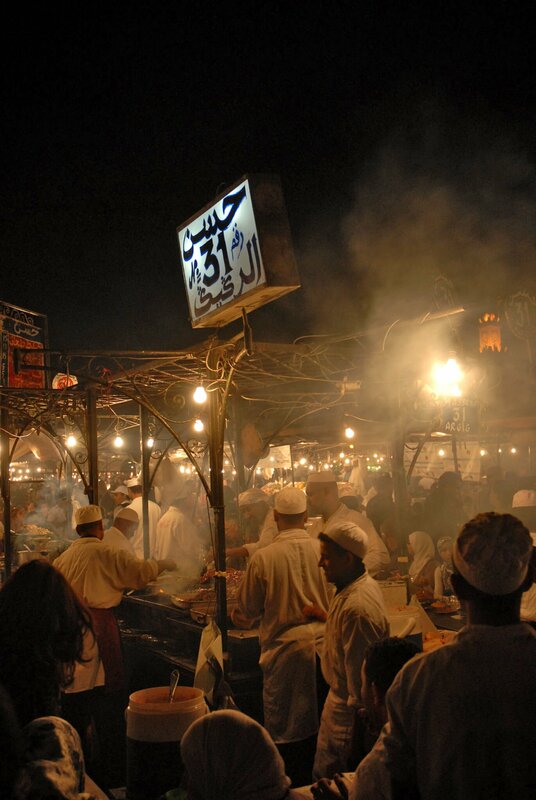 The great value for money and amazing atmosphere that’s found in Jemaa el Fna along with the sense that one is having a truly authentic Moroccan experience means that no trip to Marrakech is complete without a dining experience in the square. Our Riads are situated a short 5-10 minute walk away from the square meaning that if you choose to stay with us you can eat in the square at your leisure or enjoy one of our own superbly cooked meals by our excellent staff, either way you’re in for a wonderful experience. Why not book a room today? 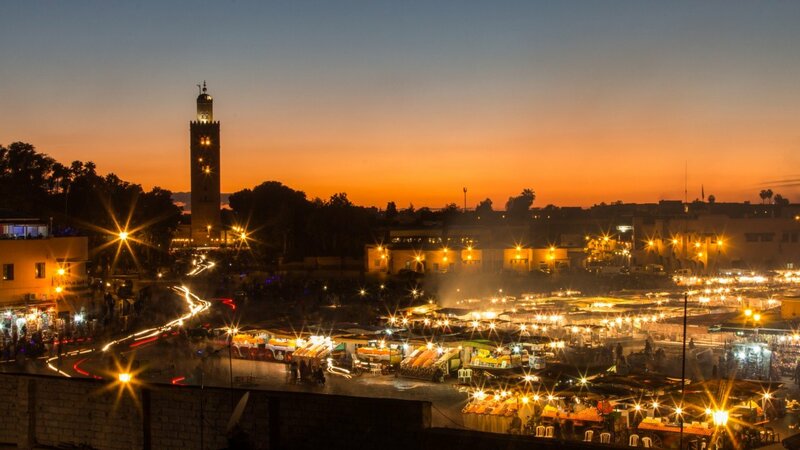 And soon you too could be enjoying the wonders of Jemaa el Fna and the delights of Marrakech.